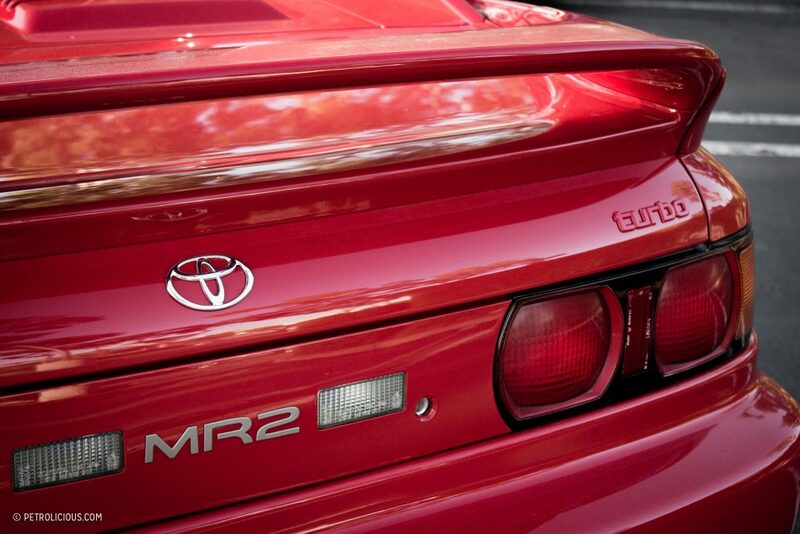 Toyota may not have won Le Mans (again), but step back a bit in time and remove a lot of the gizmos of today and you will find some very successful sports cars in the brand’s history. 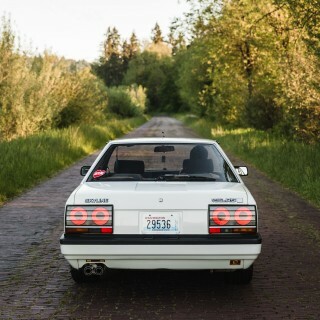 These are the kinds of simple but deeply enjoyable Japanese coupes that helped guide car enthusiasts to the manufacturer and away from the typical profferers of power. 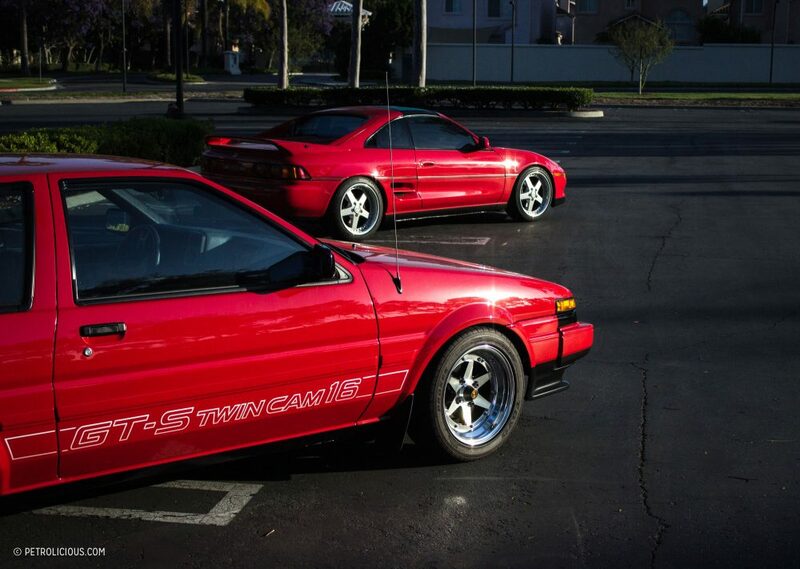 These aren’t faster in a straight line than most, but the GT-S and MR2 Turbo both generate more than enough addictive action in the corners to make up for that. 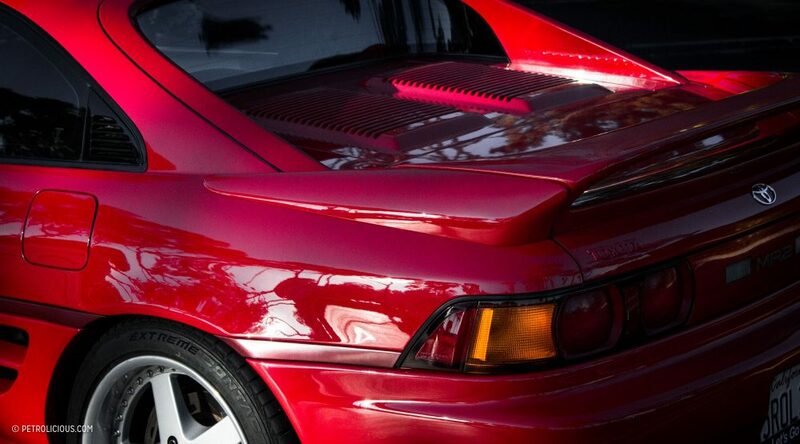 The double-edged sword of popularity and affordability meant these kinds of cars could just as easily fall into the possession of a true fan as they could end up as half-finished projects with questionable parts and motives behind them. 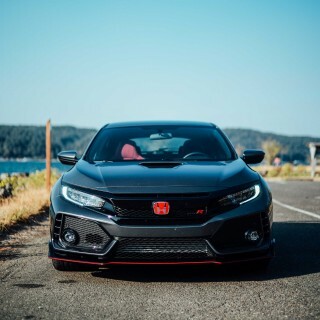 Thankfully, I was able to meet husband and wife Duane Tomono and Janet Fujimoto after Toyotafest a few months back and be reminded of what can happen when projects are seen to the end by discerning eyes. 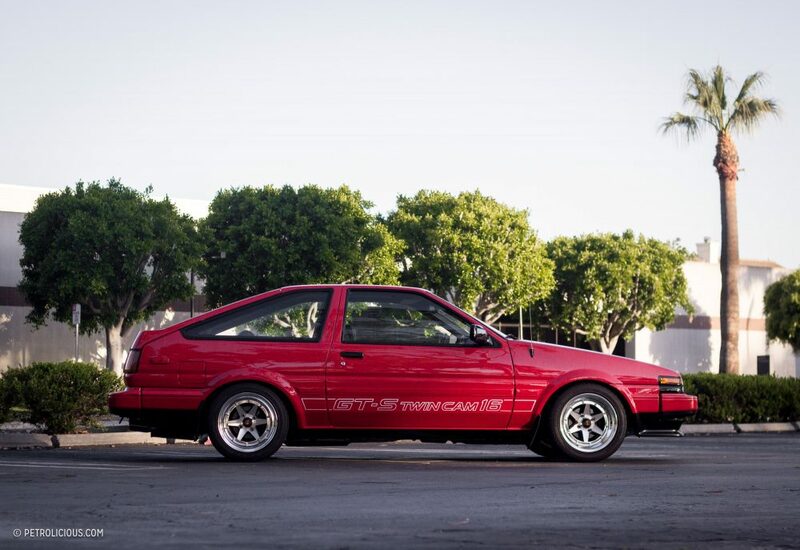 Speak the code “AE86” to anyone who knows cars and you’ll immediately fill their thoughts with Kei Tsuchiya, a certain touge-tackling tofu delivery car, pop-up headlights, cherry blossoms kicked up in the wake of a smoky sideways slide, sublime balance, and the all-around angular ‘80s. 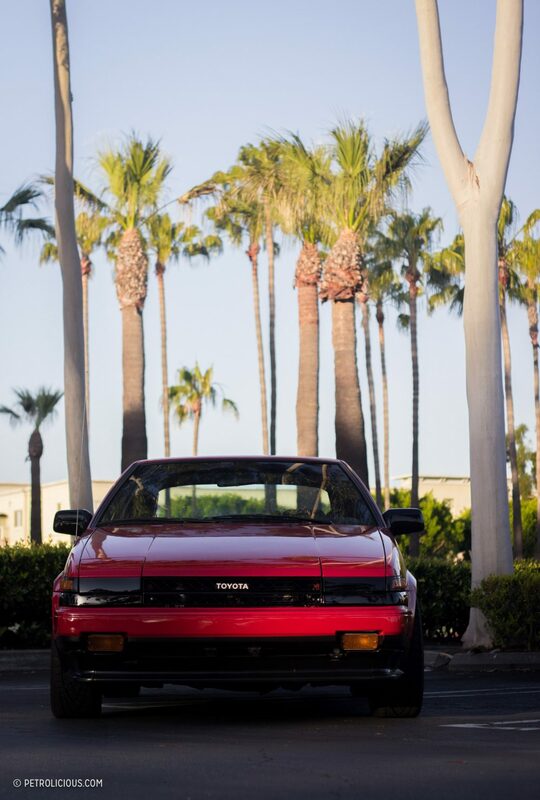 Lightweight but heavily hyped, the hachi-roku is a car that evokes. 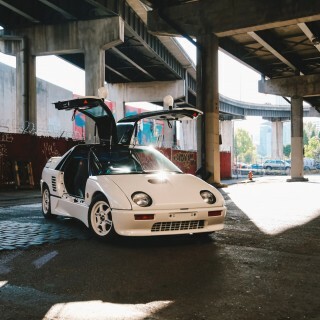 It is a firmly-placed piece of vehicular pop culture. So, like so many heroes that let you down once you’ve made acquaintance, does this hold true for everyone’s favorite triangle from Japan? 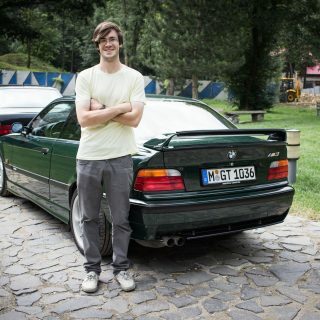 Yes and no—it depends on the individual car. 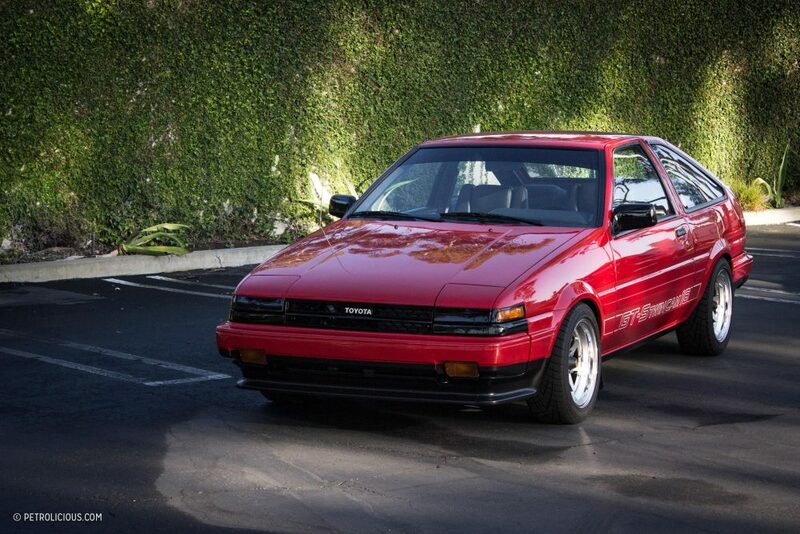 With hundreds of thousands of variants of the AE86 trims produced around the world, by now the quality of the survivors is all over the map, and the Sprinter down the street with a skin of fiberglass and Bondo and guts kept running with cheap fixes and “sick mods” is not the one to judge anything by except its owner’s bad decisions. 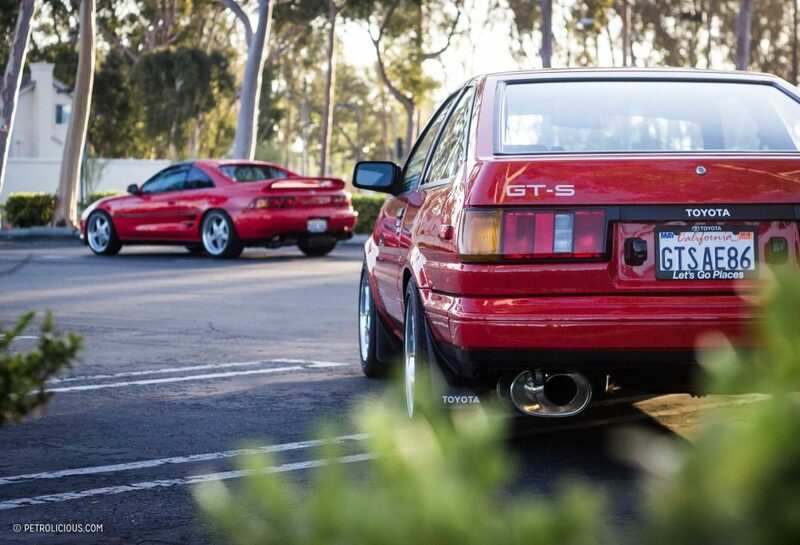 Duane and Janet’s AE86 GT-S however? This is a cherry example in more ways than one. 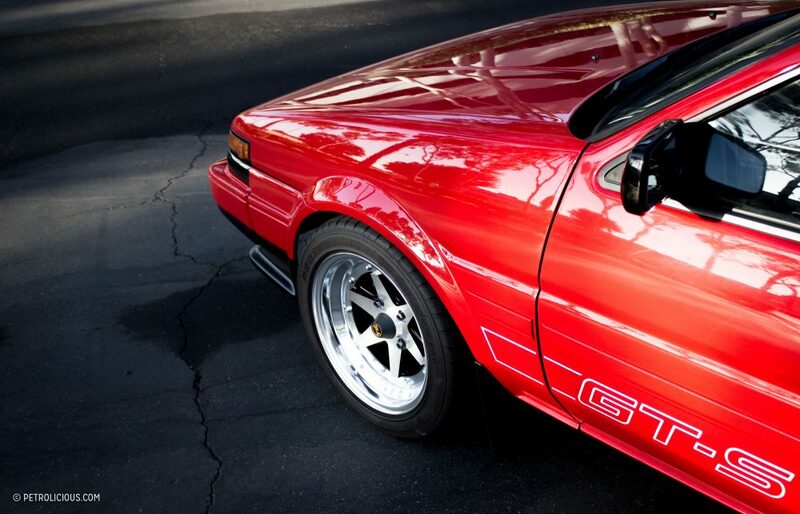 Though it appears to have stopped aging since 1985, their car is actually a fully-restored testament to what a perfect one looks like in 2017. 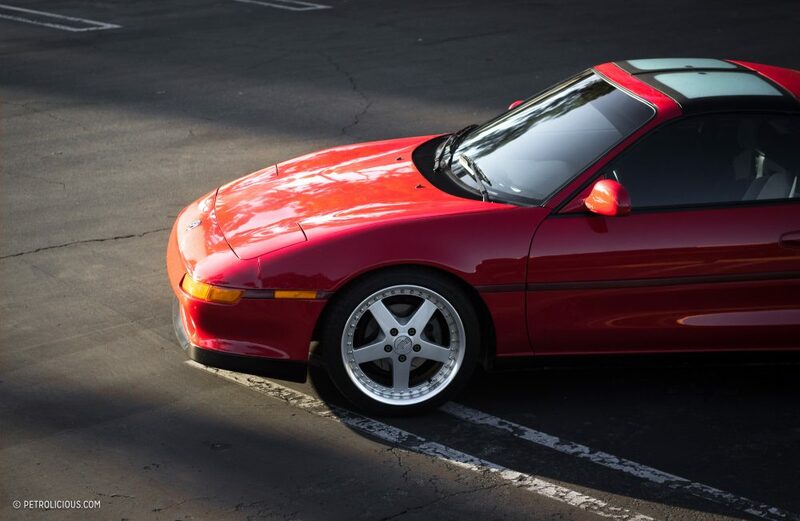 Obviously Toyota never sold any cars with SSR Longchamp XR-4 wheels, but they suit the car extremely well and lend just the right amount of period-correct enhancement to the pristine and otherwise OEM GT-S (even the trim screws and other miscellaneous fasteners that one would never see are Toyota pieces). How might one appreciate and let alone access such minutiae? 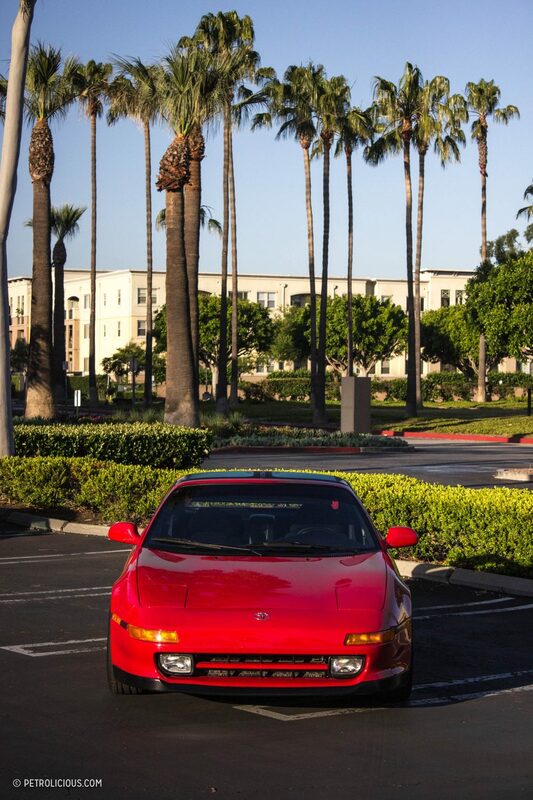 Working for Toyota doesn’t hurt. Though it’s silly to try to put exact dates on when our early and enduring interests take their hold, Janet’s loved Japanese cars since the ‘70s, and beyond these two Toyotas as proof, at 16 years old and freshly licensed she was behind the wheel of her first import: a 1972 Datsun 1200. 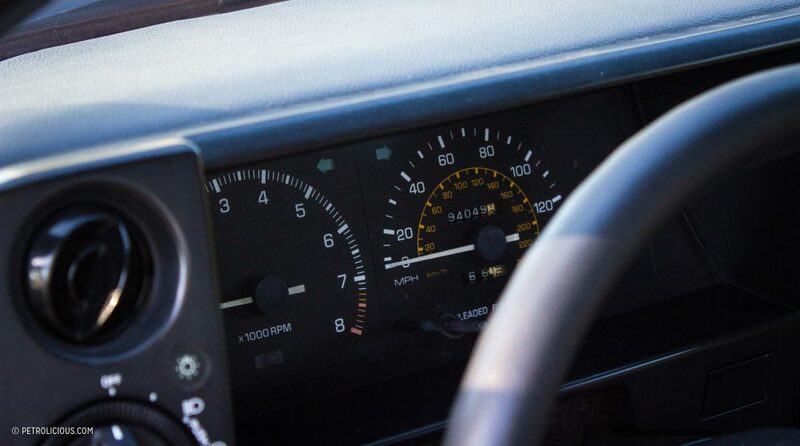 Recalling that car as “The slowest 1200cc ever made,” Janet remembers that in addition to not really being able to break the speed limit (which while unfortunate for her made her father pretty happy), she also had a tough time even ascending certain hills in her neighborhood. 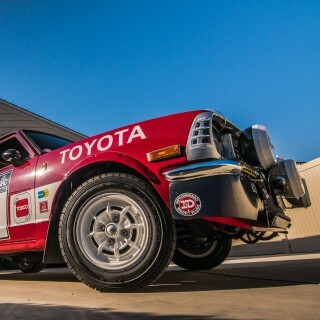 Clearly this wasn’t a deterrent though, as she began a career at Datsun not long afterwards, before moving to Toyota and putting in 30 years and counting working for her favorite marque. 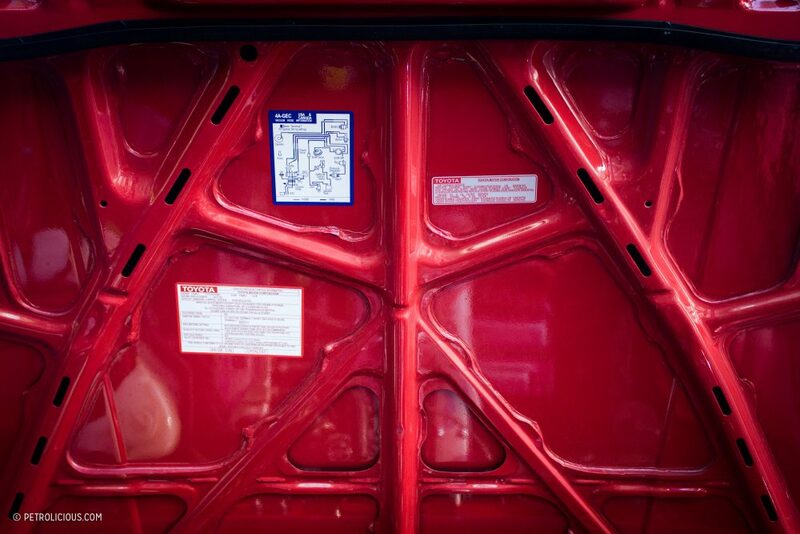 So if you thought the license plate frames were pretty corporate, you’re right. I usually don’t like things like that, but in this case there is a substantiating story that flips that opinion. Back to the car. 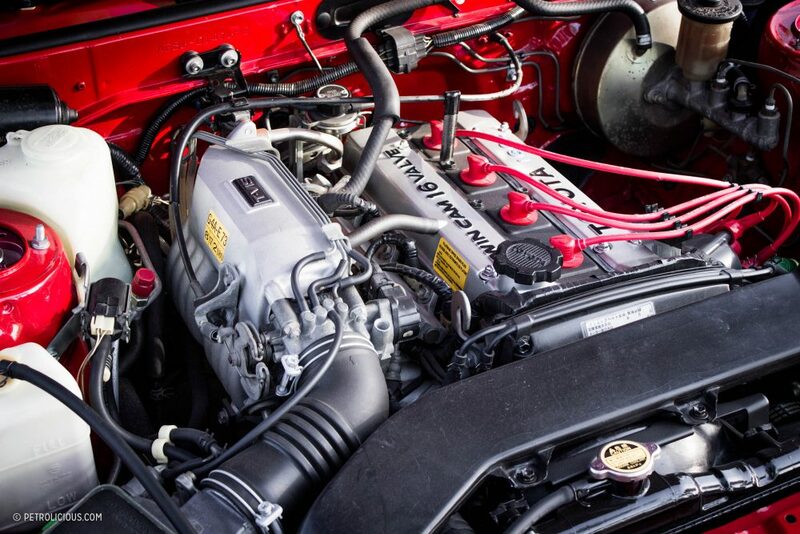 As I circled, knelt, leaned, and squinted in the early sun at the engine bay and interior and exterior, my mouth pretty much stayed open; it’s just all there and all as it should be. 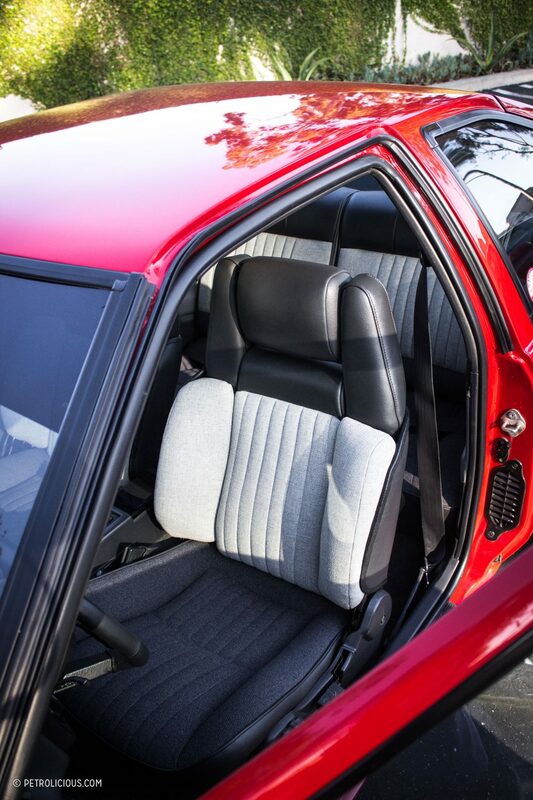 To say that seeing correctly-upholstered GT-S seats inside, a stock 4A-GE under the hood, and no body kit on the outside is refreshing is both true and understating it. 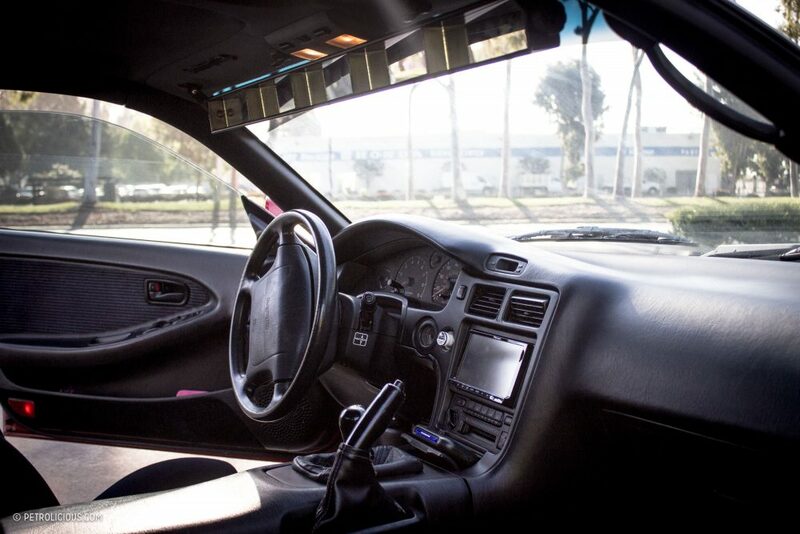 The amount of thoroughness that Duane and Janet have imbued in their build—this was not dropped off at some shop to carry out the work, it happened in their garage—is the only thing I appreciate more than the result. I love it when people can’t stop telling you about what they’ve done and the tribulations they’ve undergone to make it right instead of easy, and these two epitomize that. And of course, when you’re this passionate you probably don’t have just one outlet, and this holds true in their case as well. 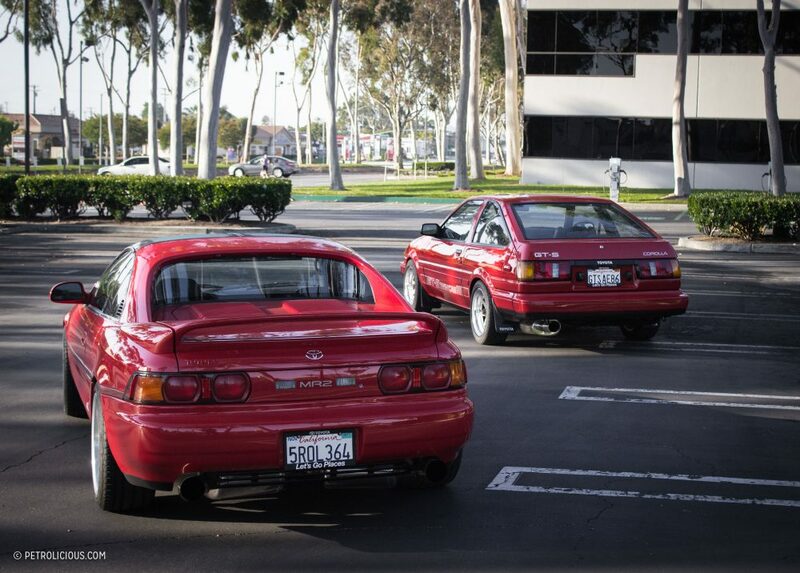 The supremely-‘80s AE86 is flanked by another red Toyota: a 1993 MR2 Turbo. 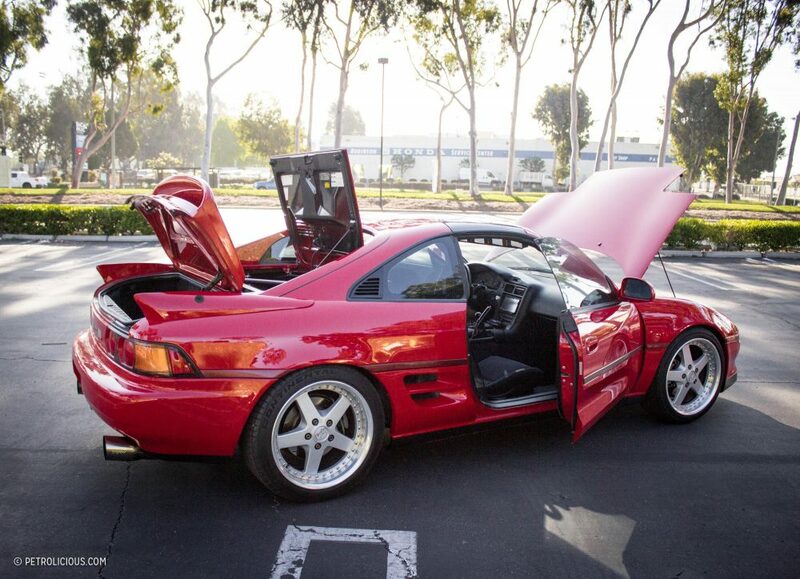 Dismissive people call these the “poor man’s Ferrari 355,” but that’s pretty ignorant, because for one, I have high doubts that MR2 owners are secretly lusting for Ferraris instead. 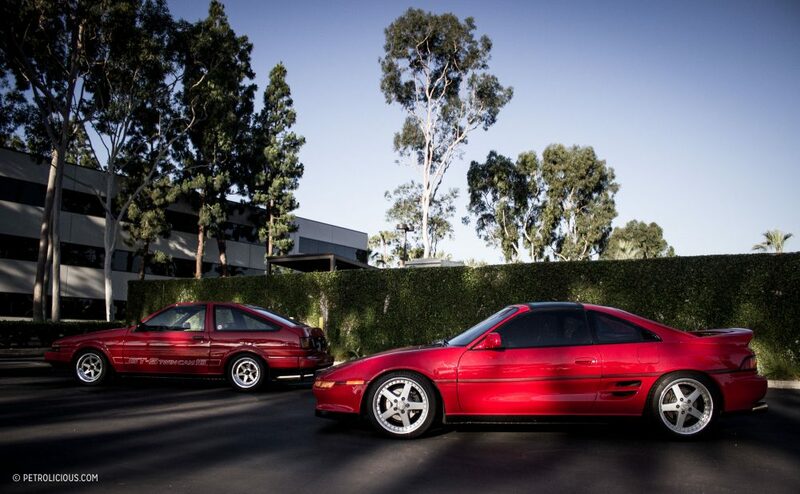 One is an expensive (and in my opinion not as special as people have recently begun to say) high-maintenance machine that sort of strangely mixes the beautiful Testarossa with too many rounded air inlets, and the other is a no-pretense, accessible, affordable, and cohesively-designed sports car that favors momentum driving over pedal mashing. You can guess which is which I’m sure. 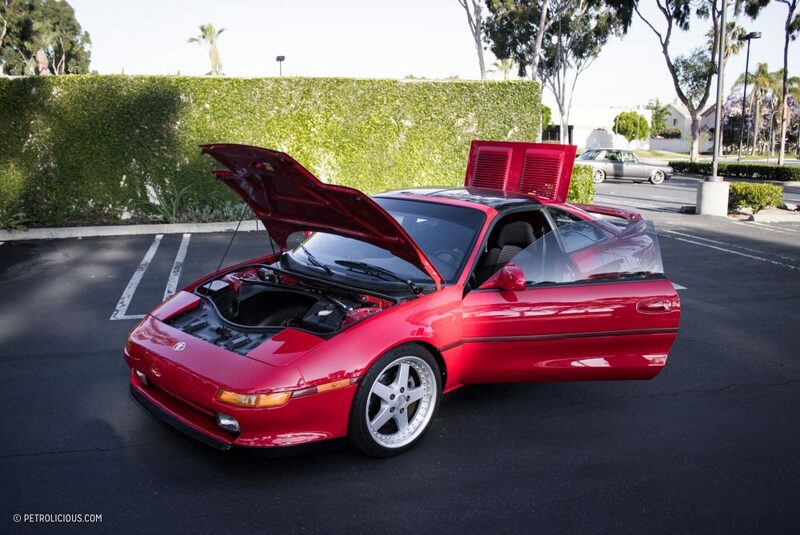 The MR2 shown here has gone through a similar process as the AE86, as besides the obvious analog in color it has been fastidiously built with correct parts and is a terrific example of what these cars can be when they’re respected and taken care of kindly. 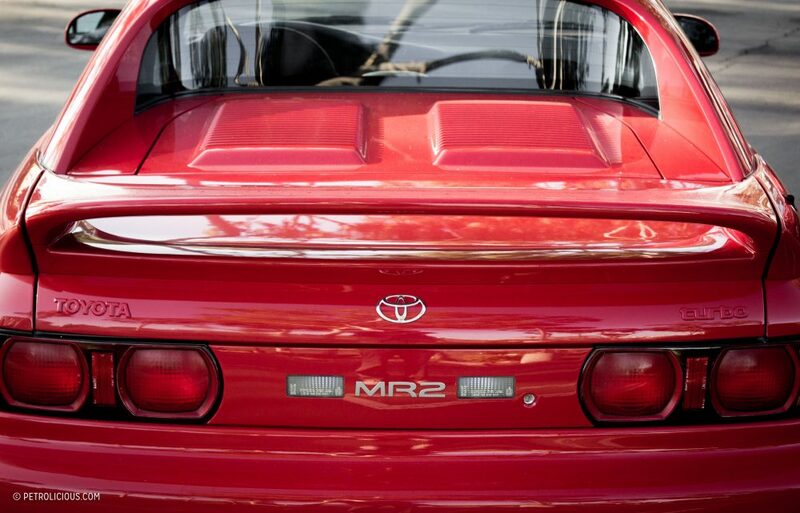 Perhaps not as disastrous as some upgraded-on-a-budget (see entry for “not upgraded at all”) Japanese sports cars, the MR2 model of every generation has certainly suffered at the hands of people who’d just seen the first Fast and Furious movie. You know what I’m going to say next: this car is not one of those. 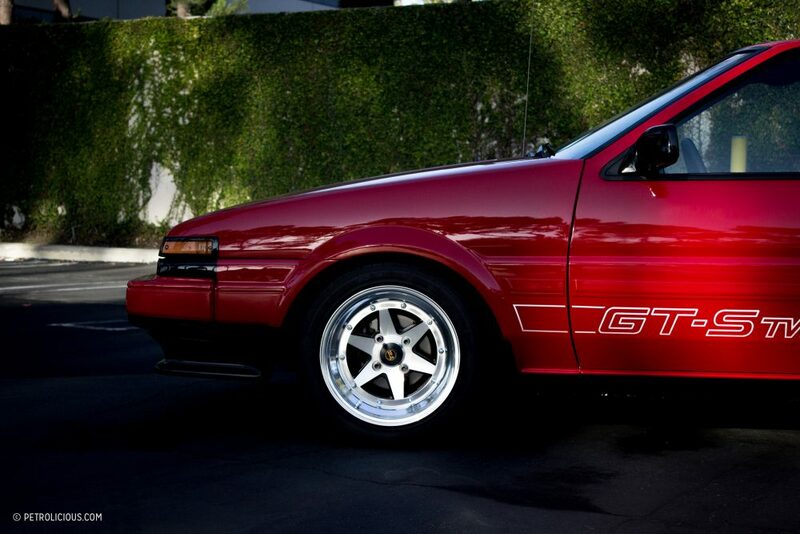 The wheels, like the ones on the previous car, are not the standard set, but keeping with the theme of how Janet and Duane build their cars are an era-appropriate high-quality set of Japanese-made wheels that give the little mid-engined T-top Toyota a bit more aggression and presence than the originals. 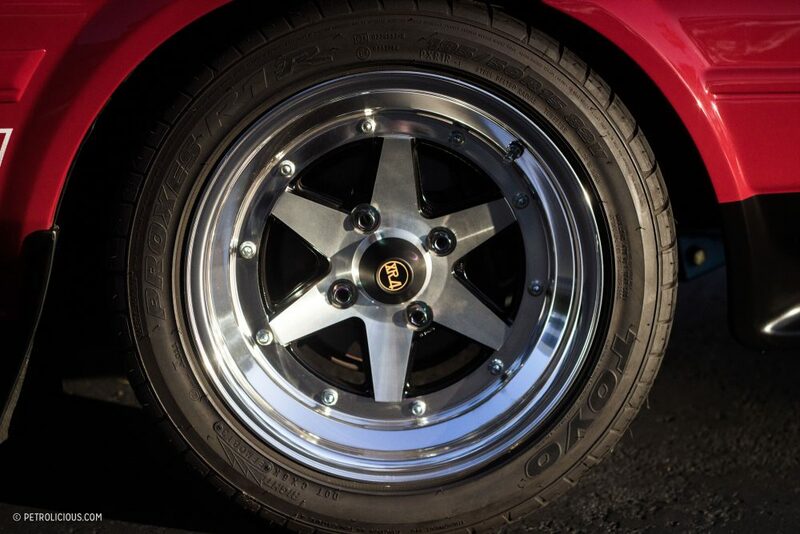 The five-spoke Work Equips are a great choice in my opinion, even if I’d ideally have them an inch smaller in diameter (but, this is not my car and not my decision! 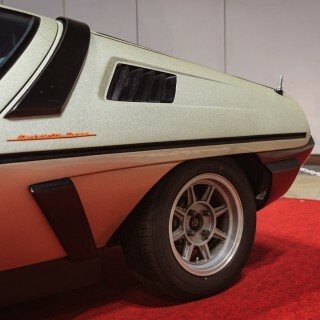 ): they manage to add a lot of contrast to the overall aesthetic, what with their defined and blocky simplicity mixing in with the car’s almost complete lack of linearity apart from its thin belt of dark red trim, and yet this juxtaposition of rays and roundness isn’t messy or jarring. 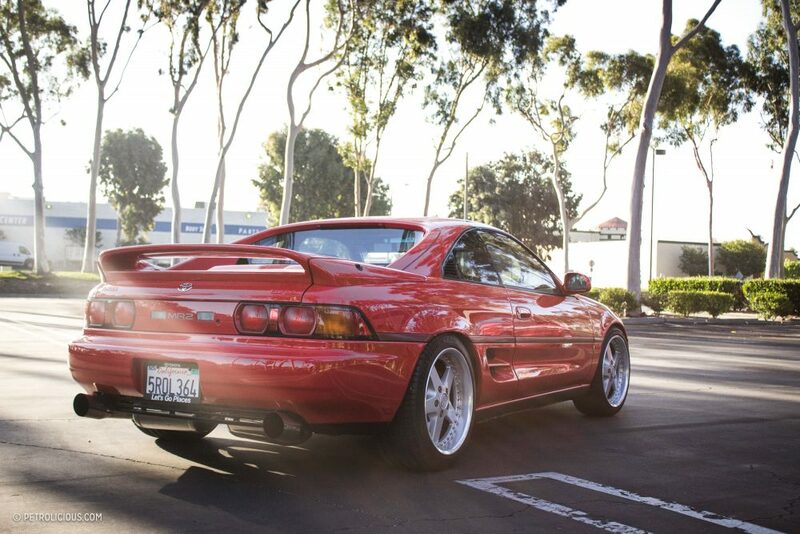 In addition to the aftermarket wheels, the MR2 Turbo is further souped-up with a set of Tein Super Street Coilers to snuggle the wheels up into the wells a bit more, and the decibels are slightly raised thanks to a Berk exhaust. 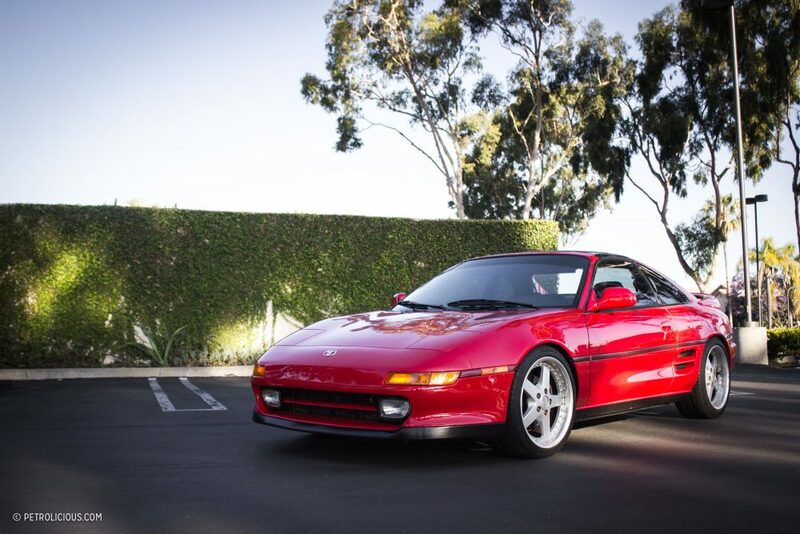 Aside from that though, this second-generation MR2 has followed the OEM route all the way to the end (okay, there is also an aftermarket mirror bar and a nav unit on the inside). 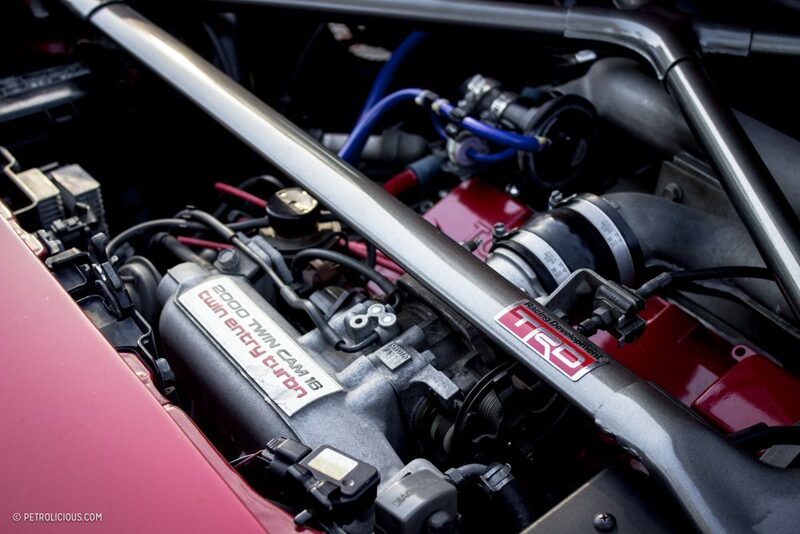 The 2.0L factory-turbocharged 3S-GTE has been completely rebuilt using only Toyota parts, including the turbo’s components. Likewise, the limited-slip diff sitting beneath the transversely-mounted amidships motor was gone through with OEM pieces during its restoration, and to keep the power planted firmly and to complement the coilovers, all bushings were swapped out for fresh stock Toyota parts which is nice to see instead of the typical route of poly bushes that really don’t have much of a place outside of a track day special. 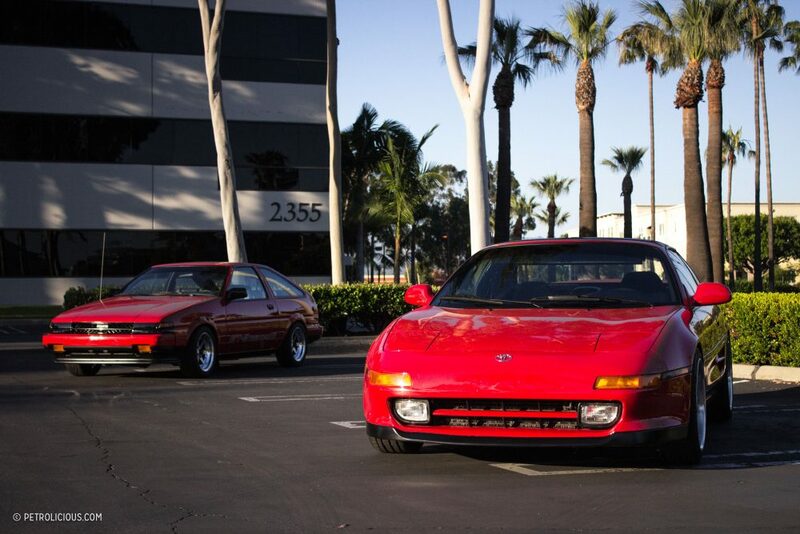 So, here are two totally different Toyota sports cars from two distinctive decades that are still more similar than not thanks to their build quality—they are separate in design and purpose, but identical in ethos. Woah woah. OEM bushings?! Those don’t exist. Where were those found? 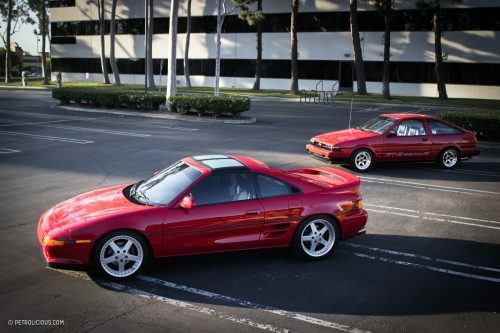 My OEM MR2 is asking for those. I’ve got the poly ones sitting on my shelf because I can’t bring myself to install them. 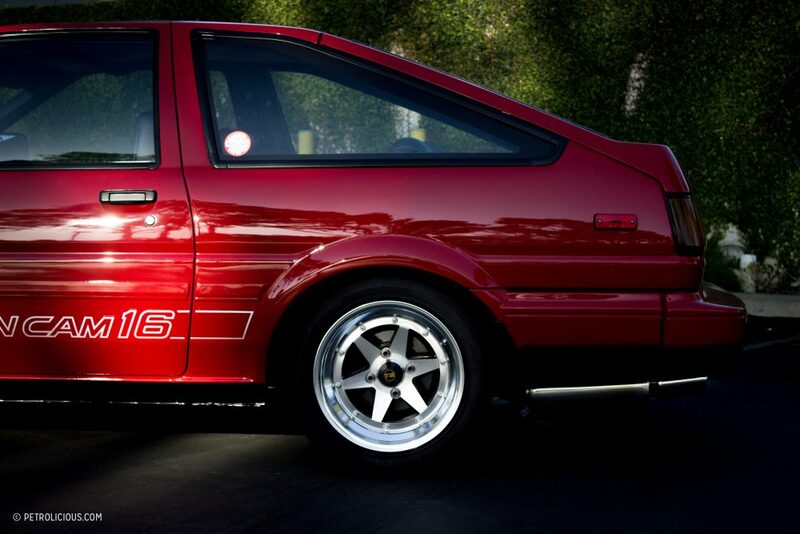 I don’t see how the AE86 is a sports car. 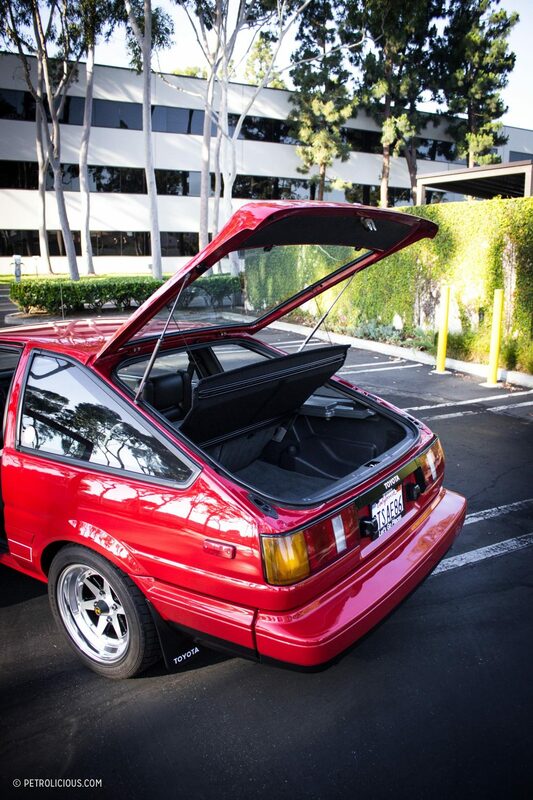 It’s an economy car with an unusually good chassis for that class of vehicle. Having said that, it is nice to FINALLY see one of these after so many years that is not black & white with RS Watanabes. 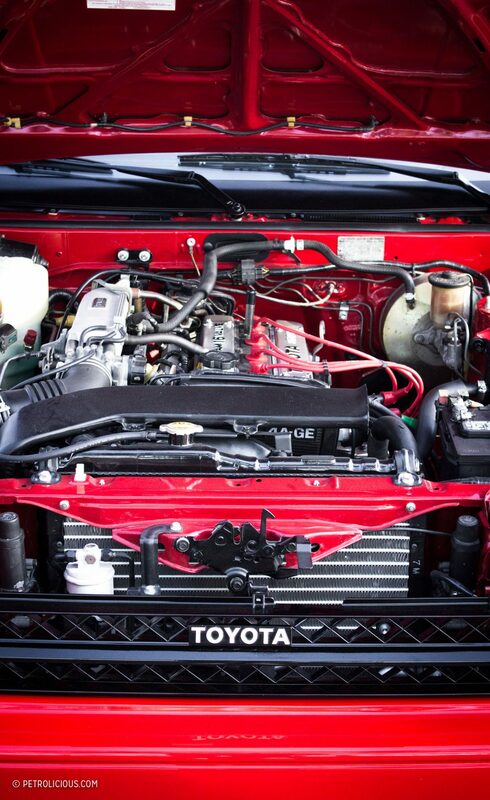 the ae86 is the sentimental favourite but back in the 80s toyota showed what the 4a-ge really could do when they put it in the corolla gt hatch and first mr2. 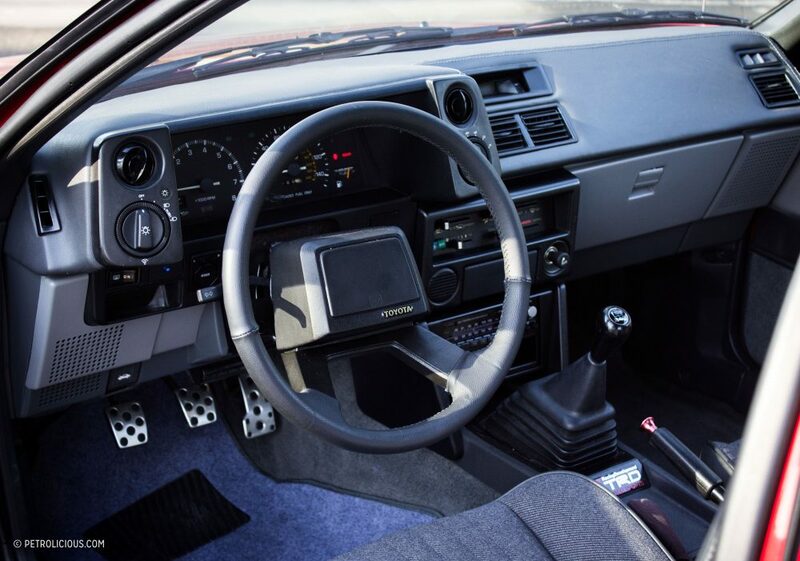 the best handling being the fwd corolla hatch, especially the new zealand version which was fine tuned by none other than legendary race car driver chris amon, who had a life long relationship with toyota nz. 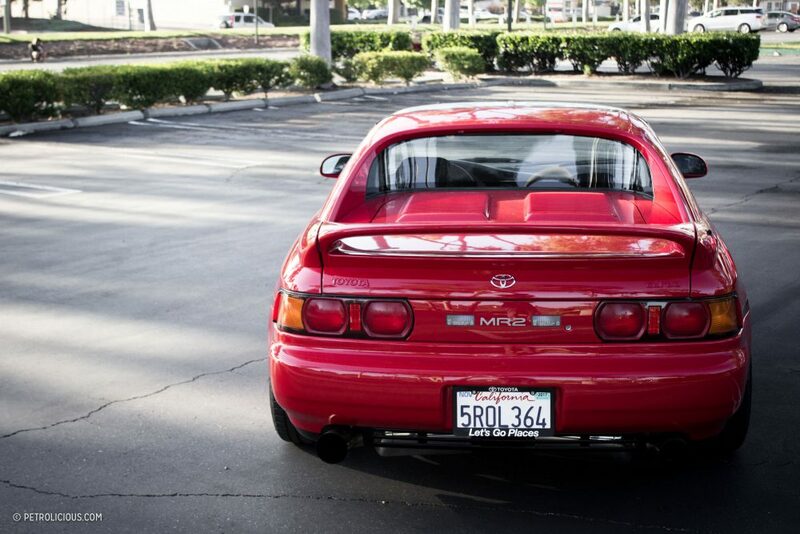 Then again in light of what they’ve done to the 21st century Supra .. downgrading it from an M6 based super coupe to a Z4 based hairdressers car … maybe its better they don’t .. bring the MR2 back in 21st century guise . 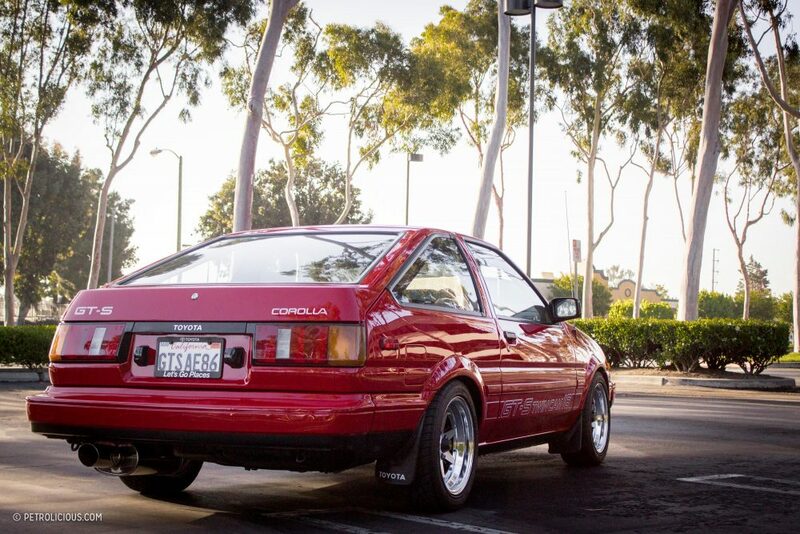 But for the record … there are rumors ..
Come on Toyota … please … I know you make a ton of money selling Camry’s to all the Moms and Aunt Carols of the world, but please for the love of god come back to making cool cars. 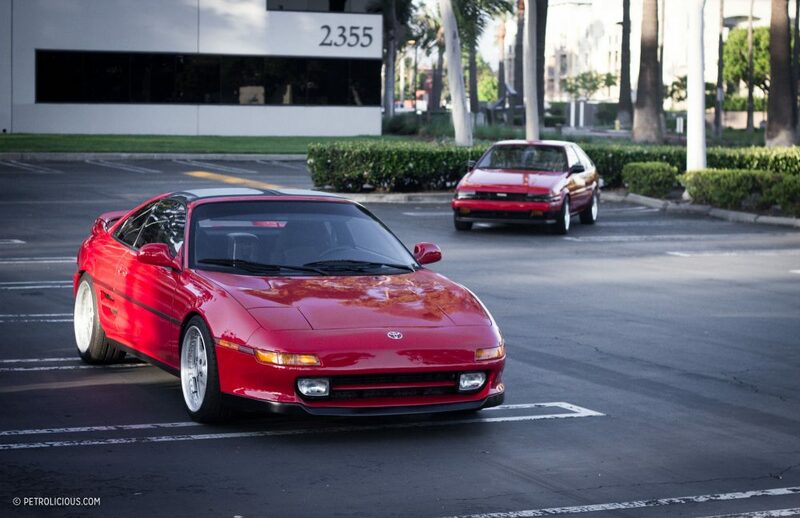 I’ve noticed you have a pretty deep knowledge of Japanese cars, always glad to have your comments on these articles about them! Also happy that you seem to enjoy them! 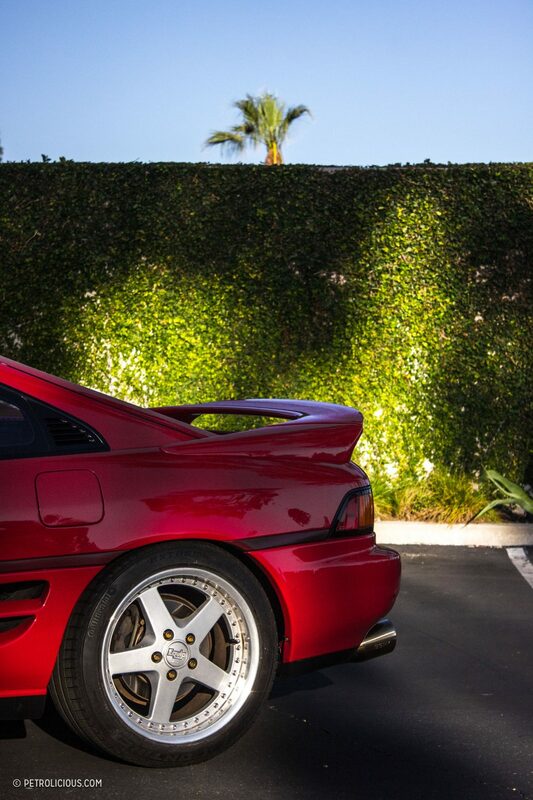 that would be the revised mr2 turbo. 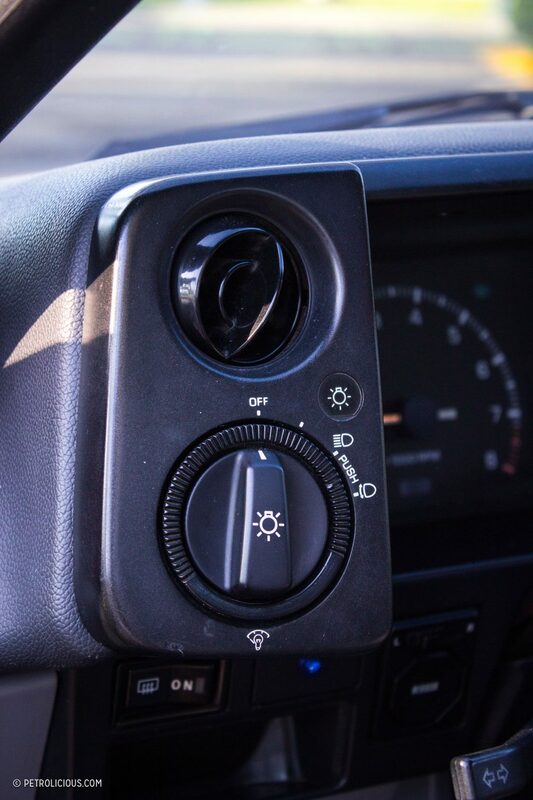 car thought the first version as quite evil handling.